The world’s first 27" 4K monitor with Infinity Edge that supports HDR content playback. 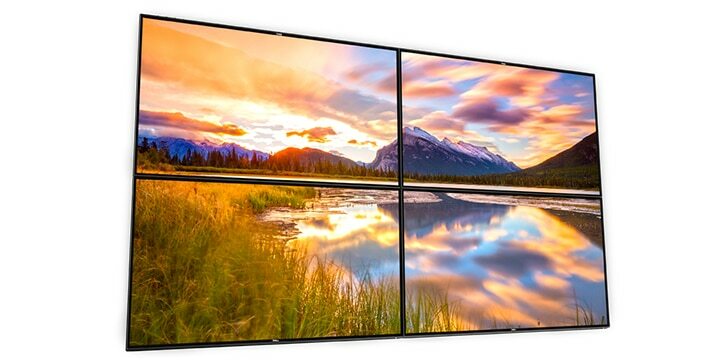 See stunning colours and exceptional details on a virtually borderless display. See the whole picture: Discover ultimate efficiency with a 27" 4K display featuring incredibly thin bezels, ideal for a multiple monitor setup. Lifelike visuals: Supports HDR content playback with striking depth, captivating your attention and giving each job a gorgeous finish. Get it all done: Multitask in comfort on this device with a fully adjustable stand, Dell Display Manager and ComfortView. With your UltraSharp monitor you get more than a pretty picture—it’s a gorgeous screen made for multitasking. Featuring a striking colour depth of 1.07 billion colours, your work is presented in outstanding detail, even in dark or brightly lit areas. 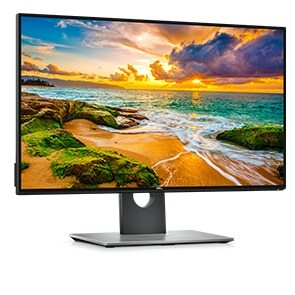 Broaden your horizons: The expansive 27" screen features InfinityEdge, a virtually borderless display on all four sides that lets you see more of your work. Discover the details in stunning colour: See every inch of your projects with Ultra HD (3480x2160) 4K resolution—that’s four times sharper than Full HD displays. Plus, with an outstanding colour depth of 1.07 billion colours, you’ll see precise, vivid images in each shade. A captivating view: Supports HDR content playback with greater depth of colours, remarkable clarity and a high contrast range of shades to create strikingly realistic images*. Colour consistency comes standard: Your UltraSharp monitor is factory calibrated at 99.9% sRGB coverage to an accuracy of Delta-E less than 2, for precise hues right out of the box. Each monitor features a factory calibration report that guarantees colour correctness, so you can trust your projects reflect true colour intensity. 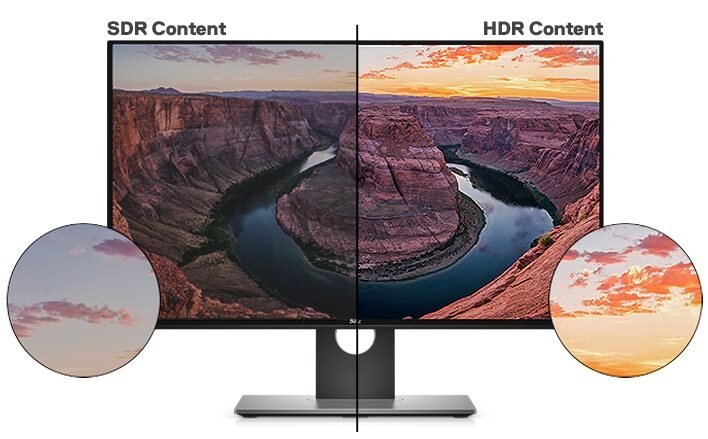 Uncompromised images: View your HDR content* like it was meant to be seen. Even your HDR photos* will boast a lifelike experience. Easy on the eyes: This TUV-Certified* monitor has a flicker-free screen with ComfortView, a feature that filters out harmful blue light emissions to optimize eye comfort. The Dell Premium Panel Guarantee allows a free panel replacement during the Limited Hardware Warranty *period even if only one bright pixel is found. Your monitor comes with a 3-year Advanced Exchange Service *so that if a replacement becomes necessary, it will be shipped to you the next business day during your 3-year Limited Hardware Warranty *.